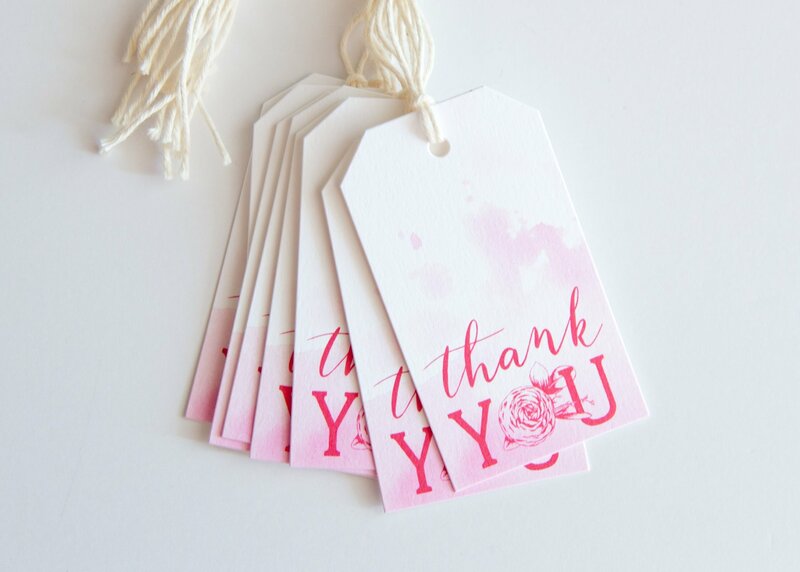 Perfect for hanging on a hostess gift, party or wedding favor, or even attaching to Etsy orders, these pink thank you tags will take your packaging to the next level! A flower creates the "O" in "you", which is complemented by a pink watercolor painting. These tags measure 2×3.5" and arrive with the strings attached. They’re sold in sets of 8 and are printed on 120 lb uncoated stock.